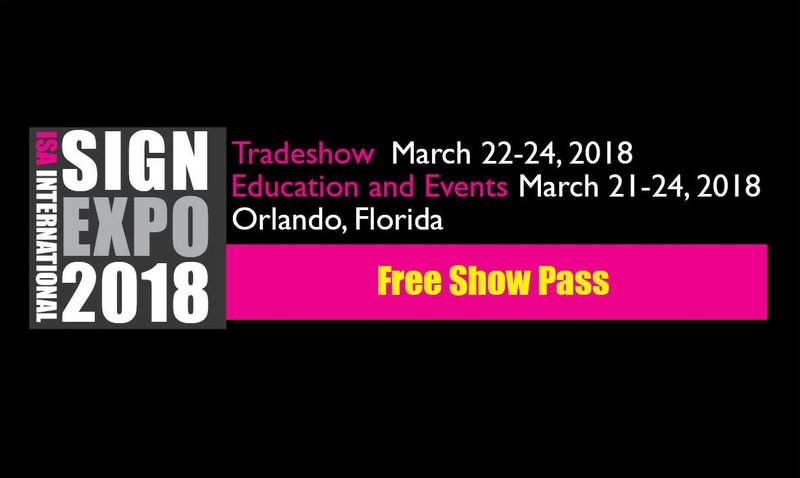 Free Show Pass for ISA Sign Expo 2018! Join us in Sunny Orlando for the 2018 ISA Expo! Click here to secure your free tradeshow pass and make plans to join us at the ISA Sign Expo 2018. This year's Expo will be held at the Orange County Convention Center, South Hall in Orlando Florida from March 22nd - 24th.